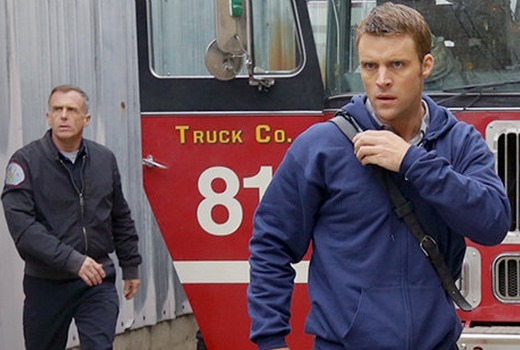 Season 4 of Chicago Fire will have its Australian Premiere on SoHo later this month. This season premieres in the US next week. Episode 19 served as a launch pad for a new spin-off, Chicago Med, which premieres in the US next month. No job is more stressful, dangerous or exhilarating than those of the Firefighters, Rescue Squad and Paramedics of Chicago Firehouse 51. These are the courageous men and women who forge headfirst into danger when everyone else is running the other way. But the enormous responsibilities of the job also take a personal toll. With big reputations and hefty egos, the pressure to perform and make split second decisions is bound to put squad members at odds. When a tragedy claims one of their own, there’s plenty of guilt and blame to go around. When it’s “gotime“ though, they put their differences aside and everything on the line for each other. After season 3 left fans on the edge of their seats, we continue with the mystery of who killed Katya, Dawson’s whereabouts and Dawson’s pregnancy in an all new season of Chicago Fire! Thursdays from October 29 at 8.30pm on SoHo. What baffles me about this is that it,s spin off show Chicgo PD is on Universal. If they are both on Foxtell, why don’t they have them on the same channel? And PD is running to a different schedule so any cross overs from Fire into PD don’t finish for months. When there are the 3 way crossovers into SVU, well that is a whole other story. Anyway, isn’t it good we have the interweb. Don’t have a foxtel subscription so I could be wrong but I thought fire was on fox8. So if its moved to soho that means foxtel users would have to pay a higher subscription if the only have basic drama? Or I guess they could watch it on massive delay on 7. I see that as a bad precedent. Its like moving a show from free to air to foxtel for a later season, in that forcing viewers to pay a higher price for something that they paid nothing or a lower price for. Oh I didn’t even realise that SoHo was part of a seperate package that requires an extra fee. I have SoHo so I don’t mind (although I really must get on to reviewing the new channels and packages for my own mind lol). Fox8 have done this before though, namely with Bates Motel.